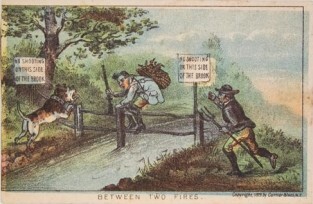 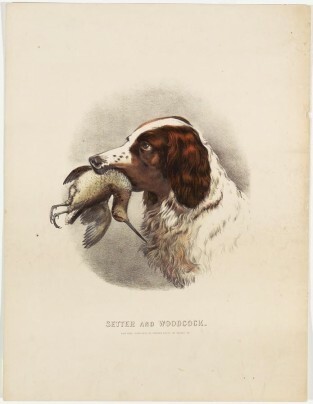 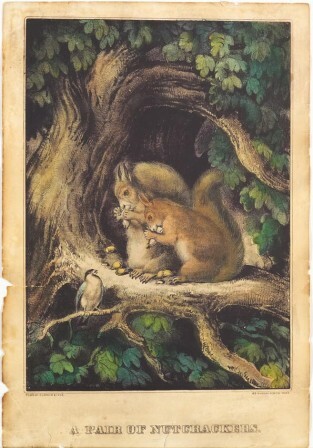 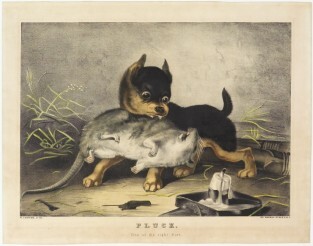 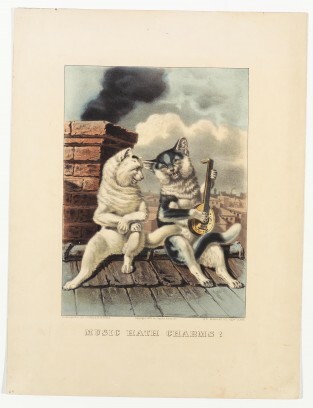 Brown and white setter, to shoulders only, facing to left in image, with woodcock held in its mouth. 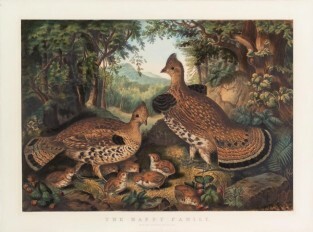 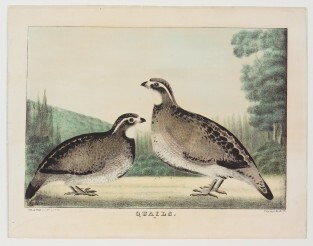 Two quails facing center and each other - hillside left background, woods right background. 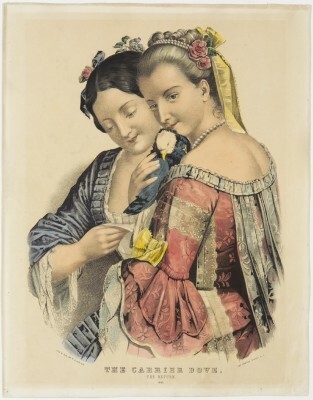 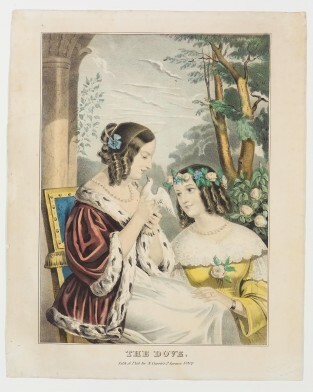 Two women one in pink (facing viewer and holding dove), one in blue reading message sent. 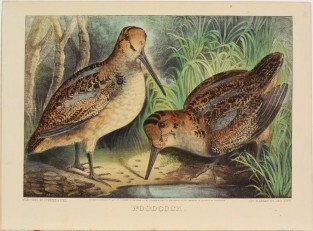 Two woodcocks at center, one to right peckier in sand.